People come into our life for a reason, a season, or a lifetime – but can we always tell which one? Why do certain people come into our lives? How can we make sure we have the right people in our circle? I love meeting new people, making friends, and keeping and maintaining friendships. However, we can’t just keep expanding our social circle; the bigger circles get, the less manageable they are. If you are standing in a massive, wide circle, you can’t make eye contact with everyone – some people are too far away. A large circle is fragile and prone to breaking away. And do we even need it anyway? A smaller circle is tighter, more protective of you: it can wrap around you like a hug. The trick is deciding who makes it into this special group circle. With time being so precious in our busy, modern lives, we have to prioritise. We have no control over the people we meet of course, but we have the ability to make the effort for those we want to keep in our lives. Common analogy, but friendship is like a plant: we water daily, feed it, trim off the horrible bits – but the plant still has to respond to this. The other person has to do their bit too – or nothing will grow. A friendship cannot survive without input on both sides. Or any kind of relationship for that matter. I have lost some friendships and relationships with family members over the last few years. I can firmly and confidently say this is not down to me not making an effort. To start with anyway – I will make effort, until the other person doesn’t. Some of these relationships have naturally drifted apart because of changes in lives. Some have ended because they were toxic. Some people have left my life because they did something unforgivable. It’s all part of life. But one thing I have learnt – I will get in touch with people, arrange to see people, message people- – but only for so long. If it doesn’t get returned, I back off. Additionally, I used to get a bit upset if I couldn’t connect with someone; if we didn’t get along. I have struggled throughout life with this – if someone doesn’t like me. But I’m learning to accept that it is absolutely fine: not everyone is meant to get on. You can’t be friends with everyone (a constant mantra to myself!) You can be the reddest, juiciest apple – but some people will prefer oranges. Of course, this means the circle that I do have is all the more valuable. So why would people come into our life for a reason? I think sometimes we meet people to teach us something. Alternatively, we are meant to teach them something. We all meet people who we dislike too – and this is again a reason. We learn something about ourselves and relationships, and we can all move on. Furthermore, a season can be any length of time throughout our lives: childhood, University, work etc. Some people will join mid-season and can completely enrich our lives for a Spring, Summer, Autumn or Winter. They may move on – and you will too – but they were an important part of that section of your life. Finally, it kind of goes without saying, but those who make it to the “lifetime” circle are the ones who evolve with you, help you to become the person you need to be (and vice versa), and are there for the full journey: from seed to full growth. Your life needs people from all these three categories though – just make sure you don’t let the really special ones go: invite them into your circle – and if they are truly special, they won’t want to leave it. What makes a person a success? Why does society view success in such a limited way? 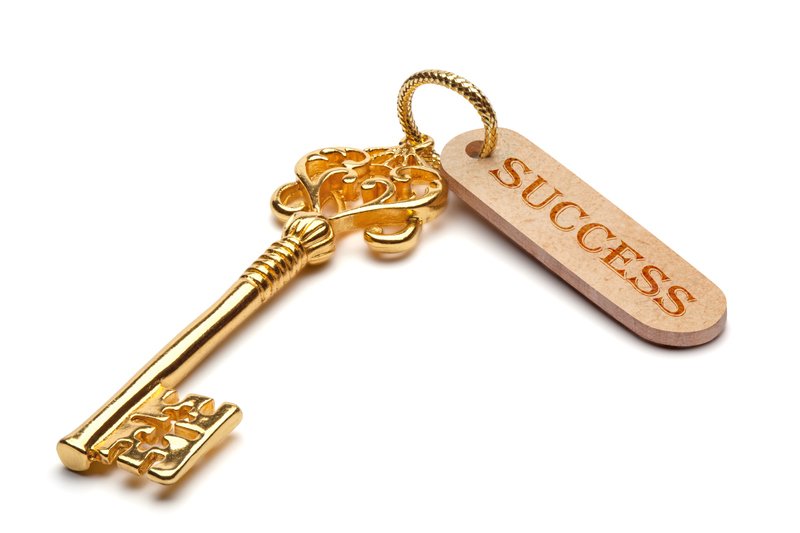 What is the key to true success? This blog topic has needed more research and a longer thought-process than most. Partly, to understand the notion of what people think success is; partly to find a way to write about people’s real-life situations in a way that highlights various examples of success. This blog post is not belittling anyone’s success or life choices, just in case you do recognise a real-life example. I’m just exploring the many options that there are to success. Imagine a successful person. What do you envisage? You would not be alone if you pictured someone in a smart, formal business-suit rushing to catch a plane, in order to complete an important job role in their busy and high-flying career. Society teaches us to think about success in this way: career, wealth and travel. If you manage those, you are successful to the world, apparently. And in many cases, this is true. But let’s open that brief case and delve a little deeper to what makes a person truly successful at life. I’ve noticed the term “successful” be thrown around my various family and friendship groups lately – a bit like a pass-the-parcel. People are keen to pass this term “success” on to other people, but are so reluctant to keep it to apply to themselves. When, really, we all want to open that pass-the-parcel: we all want to be successful. One example at a party recently, was a comment “she’s the most successful out of all of us,” the reason being that the girl in question was a few years younger than the rest of us, and had climbed the career ladder quite high for a tender adult age. And good for her! She clearly wanted to achieve that job role and job satisfaction by that age and has accomplished it. But when did success become just about your career or job? Many people believe that success is the key to happiness. You need to achieve great things – get that job; bring home the money; buy the house. This helps to be happy. But what if I said happiness is the key to success? This is what I firmly believe and I will explain why… If you are truly happy with your “lot in life” whatever that may. If you have learnt from your mistakes; got a job that makes you happy; stood by your decisions and you are truly happy as a result, then I think you’re pretty damn successful. My Dad is another example (I hope he won’t mind me mentioning him here). As he nears retirement age, he occasionally complains that he wishes he had learnt a trade, worked for himself or simply attained more of a career. Now my Dad has always worked hard – a true grafter. He has worked his whole life, bringing home money to support his wife and two daughters. He has now paid his mortgage off and he and my Mum can now enjoy holidays whenever they like. More importantly, he was able to be a loving, dedicated husband and father who has been around for us all. If he had learnt a trade would he be any happier? Would his family? Maybe he’s have slightly more job satisfaction , but longer hours and more stress perhaps. I think my Dad’s successful at life – and I hope he will read this when he has his next moan! A lot of my friends have achieved jobs and moved to various big cities – or countries – as a result. They have flown the nest and gone off to be successful in the “big city”. If that is what they choose to do and want to do, then that is fabulous. What I find interesting is that a few of them have confided that they feel they couldn’t return to our small home town, as they would feel unsuccessful as a result. To me, if you are unhappy in the big city earning the big bucks (and I am by no measure, saying they are) and you want to get a different job and return closer to friends and family – and are happy as a result of that, then that’s true success to me. It’s not about returning with your tail between your legs, it’s about making the decision to be true to yourself and doing it. Experience things and learn from it. Again, I am not assuming that people can’t be happy in addition to a high flying job in a strange city – I know not everyone is like me 😉 I’m pointing out that it’s also a success to admit that you would rather have something else in life. Society may view me as unsuccessful. I have a below average salary that doesn’t reflect my age or education, and I still live in my small, non-eventful hometown. However, I think I am successful. There, I’ve caught the pass-the-parcel and happy to admit that I think this. I have a job that I adore and gives me job satisfaction every day (most days!) and that has led me to have small business of my own on the side. I live in my hometown because, you know what? I like it here. It’s home. And in addition to my English degree, university taught me something more important: I am a home bird. I like to live within walking distance from my friends and family. I love to travel and go on holiday, BUT my town and roots are important to me – more important than any job or any amounts of money. Other people may view success differently and I think that’s the point. We need to define what success means to us and put it into practice. If we are doing what makes us happy in this short life, then we are making a success of it. It’s a Saturday evening. I’m home alone…a cosy night in with myself, whilst my hubby is at a mate’s house having a lads’ night watching the footy. I love being alone at times, but there’s still that nagging feeling that it is wrong and a little sad to have no plans on a Saturday night. Part of me feels I should make plans, go and visit family or arrange to venture out and do something…anything. But there really is no need. Firstly, Saturday is just another day like any other. My girl mates happen to be free tomorrow eve and are coming for dinner then. Plus, next Saturday I’m out for dinner with my other group of lovely girl mates. Any day is a great opportunity to connect with yourself and have some much needed “me” time. Secondly, I think I really needed some time alone to discover the real me again. It has been a bit crazy lately. We have put our house up for sale, been viewing every suitable house in the area, whilst dealing with all the admin stuff that accompanys it. This is in addition to my full time job, plus tutoring kids loads with the exam season starting. Additionally, there has been a lot of family issues going on and I tend to live with a daily guilt that I’m not doing enough; not seeing certain family members enough. It’s so easy to get lost in the jungle of daily life. So I’m on my own. What do I do? I watch a drama on catch-up that I missed during my demanding week. Cooked myself a delicious curry that I particularly like. I drink my favourite wine and watch a film that I’ve watched dozens of time and still love. I shamelessly play a computer game that normally swallows up far too much of my previous time. I look up Pinterest ideas and find myself sucked into feminist posts and tattoo ideas and Buddhist quotes. Then, I remember “writing” and how I have done so little lately. The feeling of content creeps back and I have that much craved for thirst to write…in addition to the thirst for wine! Getting thoughts down soothes me and resets me. Hence, this blog. Society tries to categorise people into two personality types: extroverts and introverts. Extroverts, apparently, are loud, sociable creatures. Whereas, introverts are the shy, meek and mild ones. But then you have hobbies and interests, in addition to personality, that also determine which category. Do you like being quiet? Reading a good book? Enjoy chatting with a few select like-minded friends? Yes? You are considered to be an introvert. If sky-diving, quad-biking and skiing are more your bag, then you’re in the world of extroverts. I’ve always been fascinated by these concepts of “introvert” and “extrovert” and was reminded of them by my latest Psychologies magazine. The article in question named ‘I’m dreaming of a quiet Xmas’ was telling extroverts to be aware of their introverted friends and relatives, who may be affected by too much socialising and extroverted focused events. Too much stimulation can overwhelm a quiet, introvert. I do understand this and it makes sense. But as someone with some introverted tendencies myself, I do not want extroverts to feel they have to behave differently around me. But being aware is always a useful thing, I guess. I found a previous quiz more helpful as it delved a little deeper. It looked at four different areas we fall into to identify our personality type. This is more realistic. But the focus on introverts struggling with the festive period bugged me a little. Firstly, Christmas isn’t all about partying. But just as much about having quite time by the Christmas tree with a great book or Christmas film. Winter nights of open fires, cosy cushions and carols – surely that is an introvert’s dream? I know it is for me. There is plenty going on at Christmas to satisfy all personality types. Secondly, where as I obtain many introvert characteristics, I also have many extrovert features to my personality. The categories are too black and white – it needs to be more of a scale. I like to read silently; sit and reflect; take a relaxing bath. These things all stimulate me and make me happy. However, loud, alcohol-fuelled gatherings in busy, lively bars and crazy parties also stimulate me and make me happy. I’ll talk to anyone: large groups, strangers, acquaintances – plus act the fool in front of any of these! I am confident, sociable and loud (bordering on silly and annoying when I’ve had a few…) which I am aware on not usual introvert qualities, but more extrovert. Some could argue that it is the best of both worlds: I go out and party and then have quiet time at home. Both can make me equally content. I do have typical introvert moments when I feel over-stimulated. Sometimes, music can be on and it suddenly feels too loud and unbearable. It has to go off straight away for me to feel calm again. I also hate going out on Christmas Eve (which my very obviously “extrovert” husband cannot understand. I always have hated going out on Christmas Eve, so it isn’t an age thing. I don’t like being pushed and shoved in a busy pub and then having the punishment of a Christmas Day hangover. (Midnight Mass is also a ruled-out option… see https://samanthagray9.wordpress.com/2013/12/28/midnight-madness/) I’m not boring – I love going out – just not on Christmas Eve. I like a quiet, chilled night sitting under my beautifully decorated tree and intricately wrapped presents, whilst watching a Christmas film and getting into the spirit (yes a little Baileys or vodka too!) in my own way. I look forward to crazy, excitement of Christmas Day, whilst relishing the contrast and magic of Christmas Eve. So, I like to think of myself as an Introverted Extrovert. But after doing some more research on the subject. This included yet another personality quiz and its verdict was to place me exactly half way between an extrovert and an introvert and the new, coined term for this is Ambivert. Makes sense, but I think I prefer my term of Introverted Extrovert , or I can switch to Extroverted Introvert, depending how far down the scale I feel I am that day! 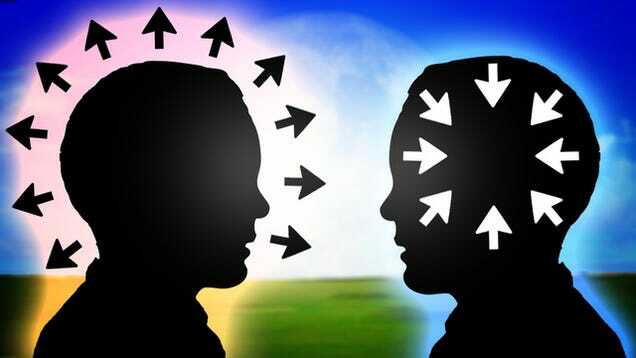 You may start to think about whether you are an extrovert or an introvert by this point. What makes you happy; what makes you tick. You’ll find you’re a mixture in some way, I’m sure. It is definitely a scale, I think, like I said above. And we’re all on it at different points. Even though, I stated above that my husband is clearly an extrovert (He loves rowing, snowboarding, quad-biking, paintballing – whereas I love reading, writing, swimming and shopping.) But, he also enjoys quiet activities – normally computer related: design, websites, games etc. Yet, we both adore going out with friends and family; going away for the weekend (yet activities we do when we are there are usually up for debate! ); fancy meals out with alcohol; entertaining large groups of friends of family. Also, my hubby isn’t as socially confident as I am – especially with strangers. He can’t do small-talk or chat easily with people unless he knows them well. Maybe a gender related reason here too, I’ll agree, but we both carry introvert and extrovert qualities. No matter where on this scale you come, make sure you do some of what makes you happy this Christmas. Whether that involves busy, festive crowds or some alone time, do not feel guilty about doing what you need to do to be happy. We all deserve it. ‘There is no such thing as a self-less good deed,’ said Joey on Friends. All good deeds are selfish because they make us feel good he believes- but so what? We need more of people feeling good. If you do a good deed and you make someone happy, it does in fact, make you happy in return – you can then spread this joy when you tell others about it. Which is what this blog post is all about. Since starting my blog, I have done ‘A good, the bad, the ugly’ themed post at Christmas time to highlight how Christmas kind of exaggerates feelings. (links below) There are so many acts of kindness that seem even more generous during the festive period, yet people doing stupid things and selfish things becomes even worse at Christmas too. This year – I want to forget negative stories. Not in a ‘head in the sand’ kind of way. There is no avoiding it really, especially with all the awful stories in the news. But for this post, it is going to be simple full of goodness. I’ve had a year of extreme high and lows and now, as the year draws to a close, I want to focus on the positive. And there is a lot of it in the world, even if we forget sometimes. As far as good deeds go, I think I have done my fair share so far this season. I was driving home from work one day and saw an elderly woman go flying – as in fallen over, not zooming in the sky! She had another elderly woman with her, who couldn’t seem to help her up. I pulled over and attempted to help her up. When I couldn’t physically manage it, I ran for help and a man and myself helped her to her feet. She was very grateful, but insisted she was OK to walk home, after I’d offered to drive her home. I also try to what I can for the elderly people I know. I’ve visited quite a few neighbours and friends at care homes or their houses – sometimes just a quick chat and some company is the best Christmas present they can have. I didn’t buy my friend Donald anything this year – I tend to find my gifts still wrapped in his room afterwards! So this year, I have just promised to take him out to Morrisons for lunch in the new year. He loves the place and will love that much more than a fancy box of biscuits. But lots of people do lovely things all the time, often unrecognised. I’m just going to blurt them all out into one big bubble of happiness – enjoy! My friend lost her purse in town whilst shopping. Busy, festive time – she never expected to get it back. Luckily, she had no money in it and promptly cancelled her cards. She posted on Facebook and people shared it. A couple of days later, the purse had been posted through her letter box 🙂 Either the wonder or Facebook had helped this or good old-fashioned reading of the drivers licence – but still, either way, highlighting that their are some decent people out there. A similar story – my Mother-in-law-to-be’s friend lost her handbag and it got handed in – fab ending once again Plus, my Mother-in-law-to-be went to a cash point recently and forgot to take her money. A lady behind her shouted after her to collect the money! An ex-colleague of mine told me this next story via Facebook. She said that she noticed one day that her gate hinge had gone rusty and broke. The next day, she went out to the shops in order to buy a new hinge and noticed that her gate now boasted a brand-new, shiny hinge. It turns out her neighbour had done it for her – without being asked, or without want of any recognition. Another story I read on Facebook was a lovely one (you see Facebook can be used for positivity spreading!) and made me feel very warm inside – and no, that wasn’t the wine 😉 A youth club went round to local elderly people giving them Christmas hampers. This is pure goodness in itself – but it gets better. They became very upset and disturbed by the condition one old man was living in: poor décor, messy, cold and a lack of carpets. They are now planning to do lots of activities to fund-raise money to carpet the man’s house 🙂 Wonderful. Another young lad, who is a true inspiration, is Matthew Humphreys. he completed to Rickshaw challenge this year for Children in Need. I worked with him a few years ago, which is a complete honour. It was my mate, plus then, another fantastic ex-colleague who had the daily delights of working with him one-to-one – and what an amazing job they have done to help to shape the person he has become (along with all other friends and family of course!) With a physical disability, he found it harder than anyone else – and god knows it is a challenge anyway! I went to see him at my old school for an awards’ ceremony last week. he also had speech difficulties, but had prepared a speech and was an absolute star of the show. It really does make you humble. http://www.bbc.co.uk/programmes/articles/2PkXCX63SZ1YMJ37j3xX9jS/matthew – for more info. Please continue these stories in the comments below. There are many more to be told – in fact there are probably many more that I know, but have forgotten (especially if told to me after having wine! haha) Spread the joy. After watching It’s a Wonderful Life for the first time this Christmas, it made me realise what a profound effect each and every individual can have on another’s life. We all have a role to play and there is reason we are here. Merry Christmas everyone – have one full of goodness! Picture this: I’m on a fast, moving train after visiting a friend from Uni; I’m checking my phone for messages every ten minutes – whilst, in between, reading a novel on my E-reader device; I have a take-away cup of Mocha; people are talking on phones; working on laptops; a Special Needs child is shouting ‘Dangerous gravy’ over and over….. is this a snapshot of crazy, modern life? The Special Needs lad kind of made my day. He was shouting and rambling away and no one batted an eye lid. 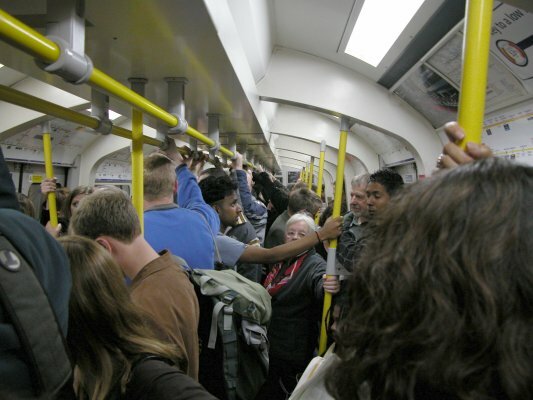 I know there are exceptions to this – but on this train, no one cared. There was acceptance. That is one thing I love about modern life – everything is out in the open, we can do what we want – and live the life we choose. (mostly!) This is definitely true in comparison to the other time period I was thinking about on the train. You see, I was reading about the Jane Austen world. Not one of her books, or a book about her – but a modern author’s depiction of ‘what happens next’ in Pride and Prejudice. 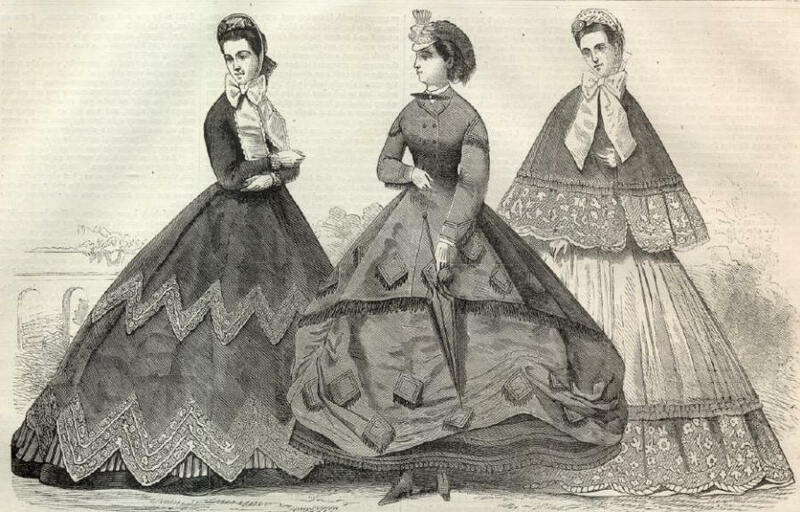 * So, this is a modern author delving into the 1800s . Some of you may groan at this idea – but it is actually very good. No, her style isn’t exactly like Austen’s, how could it be? I love the fact that that didn’t put her off writing the story she wanted to. With the lad shouting ‘Dangerous gravy’, I started thinking of the term ‘gravy train’. Whether it was being on a train or just how my mind works I don’t know! I started thinking about how we are all on this ‘gravy train’ of life. In all honesty, I always thought the term was a synonym of the term ‘rat race’ – meaning crazy, modern life journey. That kind of idea. I’ve just looked it up, however, and it means ‘a cushy job or time’ – saying that someone can get a lot of money from very little effort. This still kind of fits with the ideas I wanted to discuss though. Hilariously, when I told my Mum about the lad on the train, she simply said ‘Ahh maybe he was recently burnt by hot gravy!’ That is much more realistic! How come I never think so literally?! I’ve always joked that I belong to the 1800s – or even possibly a little earlier, like the Tudor Courts perhaps. I’d love the simple life of walking everywhere, not worrying about technology – you know, a lovely day of sewing, writing, reading and playing the piano (I’m very musical and creative with a needle in this daydream!) All I’d have to worry about is finding a husband and keeping my family happy (assuming I was in a higher class – again this is what I imagine! hehe) I wouldn’t have the day-to-day craziness like I do in Modern life – but would I be any happier? I’d have to do what my father told me to. I wouldn’t be able to go out alone without a chaperone. I would have to get married, or be seen as some ort of leper by society. I wouldn’t even be able to blummin dance at a party without being asked by a man! All these things I get cross about now, yet I am still drawn to this time period and the idea of living in it! In contrast, what I love about modern life is the idea of the unexpected and its freedom. Like the train freeze-frame above: totally random! In modern society, we can hop on a train or plane and go anywhere. We see people from all walks of life and have so, so many opportunities and experiences. In Jane Austen land, I’d get married and live in some big house somewhere and perhaps hardly see the rest of my family – as it would take days to travel to them! People must have been happy then and fulfilled – but they didn’t know any different. I think the ‘dangerous’ thing here – is to compare. We need to embrace our life – as crazy as it – and appreciate the opportunities and things we get to do. I don’t have to attend a ball on Saturday night to fit into society’s ideals. I can sit in my PJs and watch X Factor; go out for dinner; pop to Paris (if money allowed! ): we have the freedom to do as we choose. As for the lad on the train, I have no idea why he shouted ‘Dangerous Gravy’. Maybe my Mum was right – or maybe he was mourning Linda Bellingham? Bisto is being mentioned a lot lately in her honour! I just think in terms of having it ‘cushy’ and being on a gravy train, we all can really. Yes, of course we still have to work hard to attain things – but modern life has made so many things much easier for us. Life can be as simple or easy as we make it – whatever time period we live in. * Georgiana Darcy’s Diary: Jane Austen’s Pride and Prejudice continued (Pride and Prejudice Chronicles Book 1) by Anna Elliot. There are a few in the series I think.